rodeasdown.com.au – How to get to sleep in a house full of noise. How to get to sleep in a house full of noise. I once lived under a flightpath in inner-western Sydney. Ah, those were the good old days, I was bulletproof when it came to sleeping. I now live in a much quieter place and I’ve become far more sensitive to unusual sleep-destroying noises, especially parties, early-morning tradies and the clamour of a tree full of cockatoos welcoming the dawn from next door’s ghost gum. 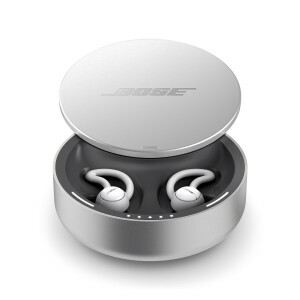 Hence I’ve been lobbying to try Bose Sleepbuds since mid last year, and my time has finally come. I first saw these in Singapore and they’ve been on the local market for a while, but test units have been thin on the ground. These don’t play music. They provide soothing sounds, selectable via an app on your phone or tablet, ranging from rain and waves to, of all things, the muted buzz of a far-away jet. Some are little more than pink or white noise, but they’re all constant and this is where the science comes in. These sounds are noise masking. I gathered from this that annoying noises would disappear. They didn’t for me, but they were effectively masked. They simply added to, and become part of, the background masking I had dialled in. A passing jet became an inconsequential rumble, the television in the other room was a consistent, amorphous hum in the background. I was aware of it vaguely but couldn’t make out the words or even differentiate the ads. 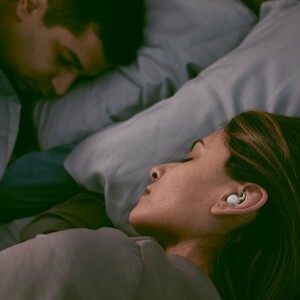 Bose is targeting Sleepbuds at people who are kept awake by snoring; maybe they should aim them at folk who can’t sleep (or even read) because someone else has the telly on. When you’re in bed hearing the masking sound, and nothing else, you realise how dense this sound is. Hearing you partner talk is difficult. I didn’t wake when my partner got out of bed and closed the door behind her; I usually do. Before nodding off I heard an aircraft but the indefinite drone of it lasted 10 seconds rather than 30. And when the television was going up one end of our open plan house and I was reading down the other, well I was still aware of the telly but the buds took away all the aggravation that’s normally there. I read without any distraction. Set the volume high enough to mask, low enough to hear a small thirsty person, a smoke detector or a burglar, and choose how long the sound plays, from 30 minutes to all night. Note that the volume level you set in a busy living room will sound significantly louder when you’re listening in a quiet bed in the dark. The battery life is 16 hours, the charge cradle stores enough juice for a single additional charge. Charging the case takes three hours, the buds up to eight hours. But who needs fast charging? Just drop them in the cradle as you get up. The buds snuggle within your ears so you can sleep on your side without discomfort, but finding the correct size is critical to success here. Once done comfort is good. Loading the app and setting the buds up is easy and quick. There’s an alarm if you need it. Sleepbuds are $379.95 and there’s a 30-day money-back trial period. Read the conditions. First published by smh.com.au March 2019.